Tsar Nicholas II, his family and their last servants are Saints in the Russian Orthodox Church. This elevation to near divine all starts back in July 1918 with a very brutal act in the cellar of a merchant house in Yekaterinburg. Here’s a very rudimentary timeline of some very complicated events in a tumultuous period in Russia’s history that take us to that cellar and beyond. The Russian Revolution of 1917 begins with food protests. 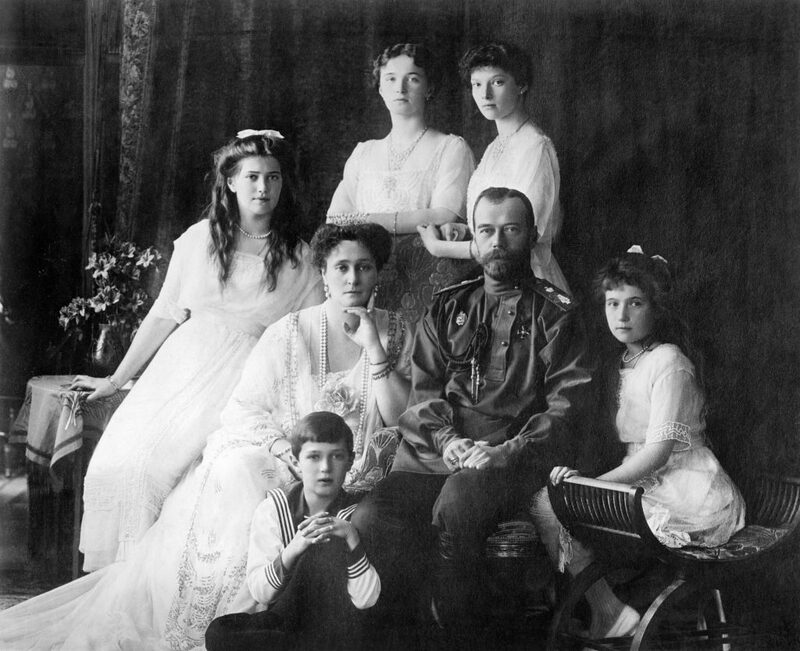 Nicholas II and his family are placed under house arrest by a provisional government in Tsarkoye Selo, St Petersburg. The Romanov family are evacuated to Tobolsk, Western Siberia, supposedly for their protection. The Bolsheviks seize power and a bloody civil war begins. The Romanovs are hastily moved from Tobolsk to Yekaterinburg, where they are secretly imprisoned in Ipatiev House, an old merchant house. Grand Duke Michael, the younger brother of Nicholas II is shot in Siberian forest. Tsar Nicholas’ sister-in-law Elizabeth, cousin Sergei and nephews Ivan, Constantine, Vladimir and Igor thrown into mine shaft somewhere near Yekaterinburg. Investigations of this site have suggested some might have initially survived. The gunshots began soon after midnight on 17 July 1918 in the cellar of the merchant house in Yekaterinburg, western Siberia. The Ganina Yama pit today is a massive monastery complex. It is a religious Disneyland, with shrines, shops and cafes, and a multitude of icons in honour of the canonised Tsar Nicholas, his family and the unfortunate servants. Inside, excited guides talk of the saintly Tsar’s “ultimate, redemptive sacrifice”, and point to the now sanctified pit, where, a great many elderly women are muttering prayers. It’s an exciting place for the worship of the former rulers of Russia! Back in 1998, the remains of the first nine bodies were reburied in a grand ceremony in St Petersburg. The Orthodox leadership stayed away from the funeral, but two years later, the Orthodox Church canonised Nicholas II and his family. But there were two members of the family missing, Alexei and Maria. In an interesting addendum to this curious story, the remains of these final two bodies were found in 2007 and Orthodox authorities refused to accept them. In the bureaucratic (and theocratic) confusion that ensued, the Russian State Archives stepped forward, and, by quirk of fate, the remains of Alexei and Maria, the Tsar’s now saintly children have ended up in a set of stainless steel bureaucratic drawers in the same building that probably has the skull and gold-toothed jawbone of Adolf Hitler, and other gruesome artefacts of the Soviet Era. A decision has yet to be made as to the final resting place of the alleged remains of Prince Alexei and Princess Maria. The elevation of the Last Tsar to sainthood was long demanded by elements within the Russian Orthodox Church. Nicholas II and his family are revered by many as martyrs and victims of Bolshevism; Nicholas II is also blamed by many Russians for being an inept, inflexible and harsh ruler whose dysfunctional reign only hastened the 1917 revolution. During the intense theological and historical debate preceding the canonisation of Nicholas II and his family, the bishops ultimately did not proclaim the Romanovs as martyrs, or those who died specifically for their Christian convictions, but instead declared them passion bearers, a category used to identify believers who, in imitation of Christ, endured suffering and death at the hands of political enemies. In addition to the last of the Romanovs, Orthodox bishops have also canonised hundreds of others, predominantly priests and monks, who were killed by the Bolsheviks, as martyrs and confessors of the faith. 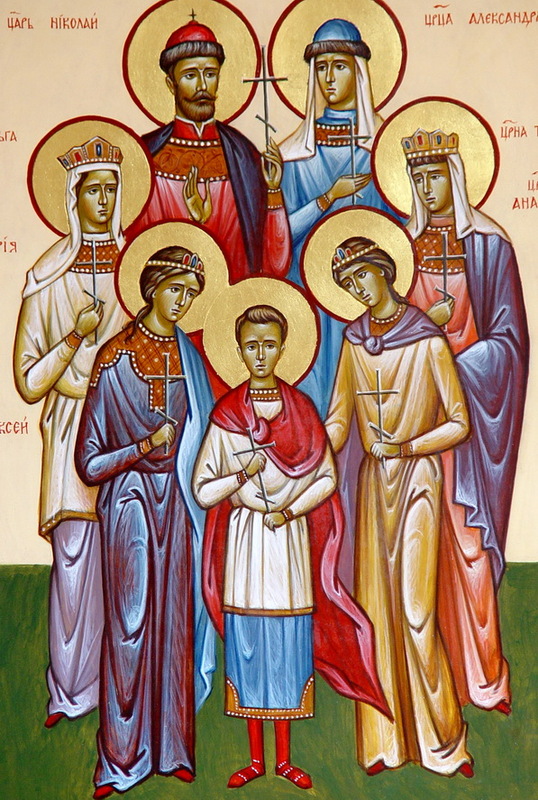 Regardless of the holy fine print, Nicholas II, last of the Romanov Tsars, last Tsar of Russia; his Royal family and couple of servants in the wrong place at the right time are regarded as saints for a great many in the Russian Orthodox congregation. Debate will undoubtedly continue as to whether the Romanov’s deserve this saintly status. What is certain is that the events surrounding the execution of the Russian Royal family in July 1918 changed the destiny of everyone in Russia and has shaped, to a significant degree, world events since.